There’s an old saying in the investment market that goes something like this: “Sell in May and then go away.” This means that in order to avoid a slow market, investors should sell their investments before summer starts, and just re-enter the market in September. While the saying isn’t true for some stocks, it is pretty much spot on with silver investments. According to historical data gathered by Clive Maund of The Market Oracle, June – August really seems to be silver’s weakest month. The precious white metal’s prices will decline in June, and then go on an upward swing in July – September. UBS Global Asset Management analysts Edel Tully and Joni Teves partly blame the World Cup for silver’s price decline. The analysts added that the reduction in the number of market players is more resolute in June, in contrast to being more spread out after the World Cup. This means that market can be very quiet especially since there is no fundamental news that could influence the fluctuation of silver prices. Since July is a weak month for silver, investors see this as opportunity to buy the commodity. Last week, the precious white metal closed at $20.87 per ounce – which is just a few lines above the dreaded $20 mark. For first time silver traders, BullionVault’s advice for investors is simple: “the larger the unit you buy, the better. 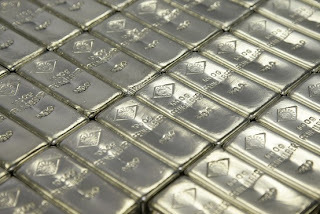 Because buying in bulk will save you money, as you pay less for each ounce that the silver bar contains.” Aspiring investors who are interested in tapping into the precious white commodity should also know that because silver is lower than gold in value, one part per thousand of impurity is ignored when setting prices for the precious white metal. In 2013, demand for the precious white commodity was up 138%. China’s silver imports last year were up by 33%, and India, the second largest consumer of gold, also reports a 27% increase in their silver consumption from January to April this year. The use of silver in the industrial, medical, and alternative energy industries is huge, and there’s no better time for investors to buy silver than now.